In 2000, Powell spearheaded the Entertainment division of <​kpe> (Kaufman Patricof Enterprises) Europe. Based in London, Powell created and produced original transmedia (multi-platform) content as well as managed the development of animated webisodic series and mobile applications for branded content (e.g., Bridget Jones). During this period, Powell designed original interactive TV (transmedia) formats, which were represented by the William Morris Agency UK. She also formulated the interactive television strategy, business plan and revenue model for <​kpe> Europe. “The convergent programming concepts we created during the first dot-com wave have yet to be fully realised. These concepts can serve as learning vehicles for current cross-platform creators. 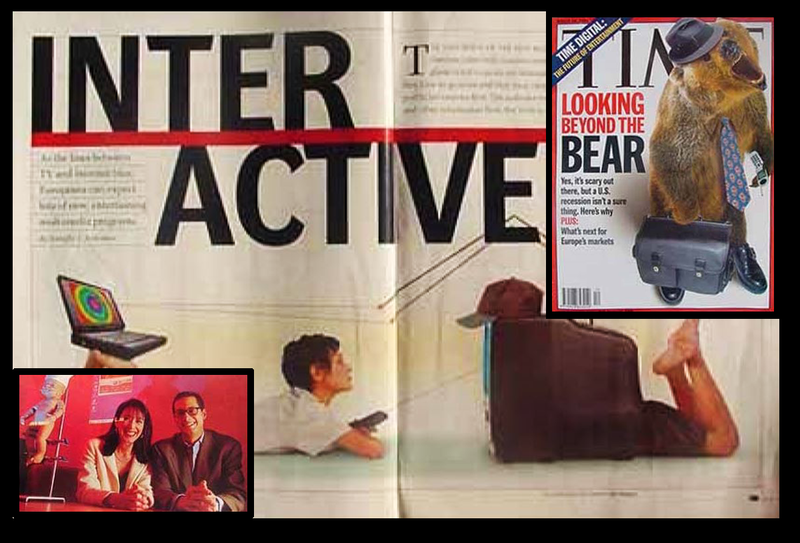 Photo on right: Powell’s transmedia work as featured in Time Magazine Europe.